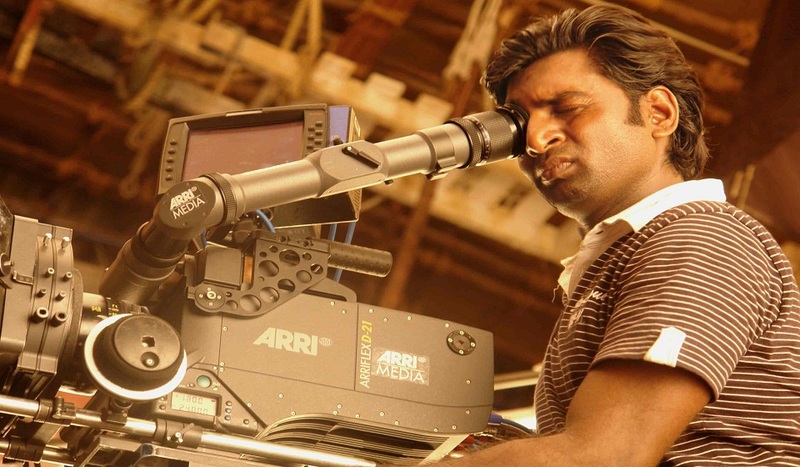 K.K.Senthil Kumar is one of the most respected cinematographers in South Indian film industry today and is know for “ detailing in lighting” . 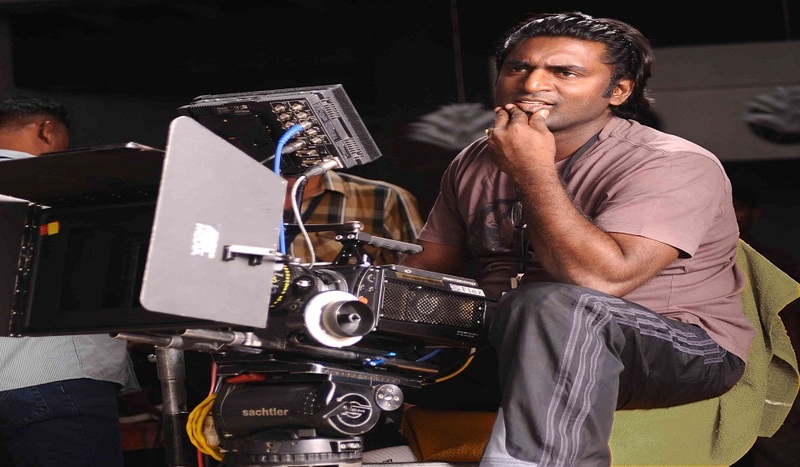 Senthil is among those who have raised the bar in cinematography to another level with his impressive work in films such as Aithe, Sye, Yamadonga, Arundhati and Magadheera, Eega. After having graduated from FTII pune, it took Senthil a long time to find a breakthrough in Telugu film industry. 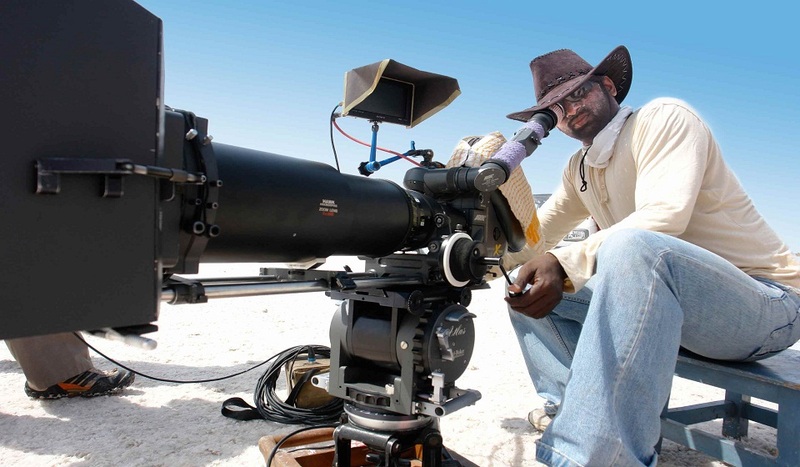 His journey as a cinematographer began with a popular TV show Amrutham for which he shot 13 episodes. 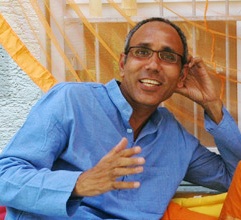 Chandrasekhar Yeleti had directed these episodes and incidentally, Senthil was roped in as the cinematographer for Chandrasekhar Yeleti’s debut film Aithe, which released in 2003. So far, he has worked on more than 12 films out of which five have been S S Rajamouli’s films and right now, he’s onboard Rajamouli’s upcoming magnum opus Baahubali. In this Interview ,Film Critics lalit Rao takes Senthil Down the memory lane on various films he worked as DOP and his most talked about Eega on the challenges involved, and working with Rajamouli. 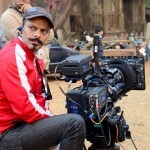 Q You tell us how you stared your Career as a cinematographer in Telugu Film industry? I was born and brought up in Hyderabad. My interest was towards civil services as a career, My entry into films is a sheer accident. 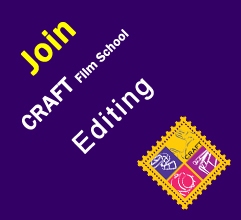 may be a call of Destiny.. As a part of preparation i was writing as many competitive exams as i could, a friend of mine was applying to Pune Film Institute and asked if i would take the test as it would help in preparation for civil services exam. 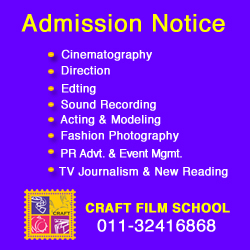 FTII pune had an amazing selection process. 40 people were called for the interview ,half day training, half day of G.D.s for a week. They selected eight out of 40 for admission and i was one of them. They showed various movies directed by him that week. I could not understand any of his movies and would doze off in the theatre. I felt I may not be cut out for this industry. A week later, they showed a comedy film titled ‘Mr. Smith Goes to Washington’, it cheered me up. I slowly began understanding the films as the years progressed. My second year was on merit scholarship . Since I had graduated from Pune film institute, I thought that I would get a red carpet into Telugu film industry. Disappointment is all i got as i had no contacts or background in the industry back home, Hyderabad. At Prasad Labs, i met a film grader called Punnayya who asked me to assist any cinematographer before expecting an opportunity. 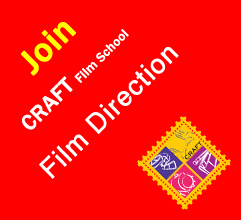 I realised that people work for you in the film institute and you work for people in film industry. Lots of people went to Mumbai and Chennai after their graduation. I came to Hyderabad because of economical reasons I could stay with my parents and try for the movies. I was lucky to get a brake in hyderabad. Q .How did the “Aithe” happened for you? Chandra Sekhar Yeleti asked me to work as cameraman for his TV serial Amrutham. Short of oppurtunities in films I agreed though television never interested me. I worked for 13 episodes. My television migration turned out to be my platform. Chandra Sekhar Yeleti directed Aithe and took me on as the cinematographer. This movie debut a team of actors and technicians. We created a realistic look for Aithe. People felt that we shot the movie without lights. But lights were used and still brought the realistic tint to the movie. 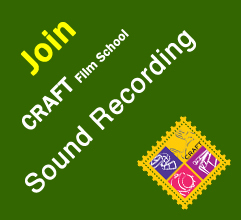 I was jobless for six months after Aithe though my work was acknowledged well in the industry. Q “ Rajamouli” is big name in Hyderabad film industry. How did the association happened ? Rajamouli called me and narrated the story of Sye. I loved it. i asked him why he had chosen me. He said he knew under what circumstances I did Aithe . He promised better time and budget. When someone like Rajamouli believes in you so much, you stop at nothing but the best. Sye was a movie based on Rugby,Rugby is not a popular game to Indians, at that time Rugby world cup was telecast in India for the first time. I observed TV telecast of Rugby to understand the the game as wells the camera angles used as I had to recreate the live atmosphere in the climax of Sye movie. We had two months of Rugby training for the cast. We were able to pull the climax scene with realistic camera work. In Aithe movie, we didn’t have glamour angle as it was a realistic movie. But Sye was a commercial film. Hence we needed to show artists (Nitin and Genelia) glamorously without compromising on the realistic aspect of the movie. I learnt the nuances of showing stars with a realistic look with Sye . I cannot remember who said it but I always believe that my next shot is the best shot. I am always trying to give my best to every shot within the constraints that I have. I remember a meeting with Ganga Raju Gunnam (the producer of my first movie) while shooting the song sequence for ‘Aithe’. Time was running out and we had no idea how we were going to do it. Then I told him that if he gave us some more time we would do a perfect job, he asked me in return ‘what is a perfect job?’ I had no answer. And then he said, ‘if I give you 15 days you’ll do a better job, and if I give another 15 you will better that. But that is not important. 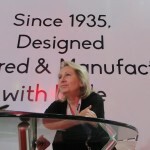 What is perfect for us is what we deliver in the time frame we need to”. I always remember that. Q What were the unique experiences while shooting Chatrapati? There is a pre-interval mud fight in the movie shot in the rain. We needed constant light to cover a wide outdoor area. Balloon lights did not exist in hyd at that time. I used a 40 ft x 40 ft iron frame and stuffed it with lots of lights, diffuser and dangled it using a 100 ft industrial crane. I used very soft lights while shooting the fight which had lots of slow motion. We had a song called ‘A vachi B pai vaale’. I wanted to have a monotone-color feel to it. It was never done in recent Telugu films.the choreographer objected that monotone-color theme will not highlight his steps. The results were amazing. Chatrapati was my first step towards visual effects. We canned a shark fight sequence in the movie where we did major blue-mat work for it. Ashok was the first movie to be shot on Super 35 and to do complete DI (digital intermediate) in Telugu films. 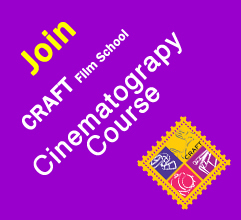 DI is an integral part of cinematographer’s job. There is a sequence in the movie where dead friend (Rajiv Kanakala ) of hero (NTR) appears on the screen. To show the contrast we did Rajiv Kanakala in black and white and the rest of the frame in color. I used to like the greeting cards done by the photographer Ken Anderson in black and white except for a small thing like rose in a red color. I always wanted something like that. In a fight sequence of Ashok, I wanted the blood to be in red color and rest of the frame in black and white. 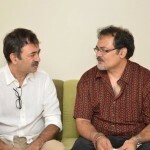 When I asked director Surender, he agreed. And the concept was well recognized in the movie. I learnt a lot about DI while doing the movie Ashok. Q. What were the most challenging scenes you remembered from Rajamouli’s Chatrapathi and Yamadonga from lighting point of view ? I like the scene which begins with Shivaji (Prabhas) defying Kaatraj’s (Supreeth) orders to not enter a circle and ends with Shivaji threatening a politician to not enter his area ever again. In the midst of all this, there’s a mud fight which is set in the slum where Shivaji lives. Lighting was a major issue for this fight sequence since it had to cover a huge area and to get the right effect. I used 40 x 40 ft iron frame and stuffed it with lots of lights, diffusers and dangled it on top of the area using a 100 ft industrial crane. It’s an intense sequence and no one could take their eyes off everything that was happening on screen. 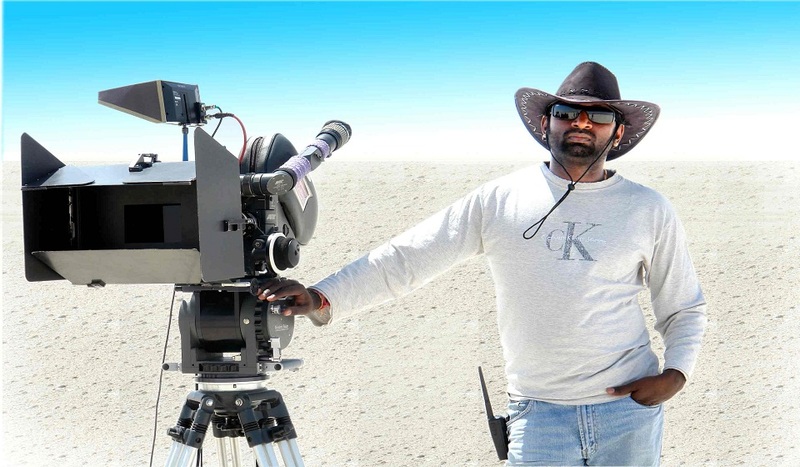 Doing Yamadonga movie gave me immense confidence about my abilities as a cinematographer. When Rajamouli decided to build a Yamalokam set in Ramoji Film City to shoot an important part of the film, once again lighting the entire set became a huge issue for me . The Yamalokam set erected was the biggest indoor set in India. I never worked on such big sets. I was not sure of how i would light up such a massive set as I needed huge number of lights for it. i am not a big fan of specular light, which casts lots of shadows i don’t like so many unwanted shadows in the frame. Hence I got the whole set under a huge skimmer. Soft lights so that there will be no strong shadows. When Rajamouli asked me for glittering effect on the crown and the jewellery of the artists, I took a day’s extension. Then I got a huge box of household lights behind the camera and lit them up. Since these were specular lights, they give the glitter without casting shadows. We used all the available lights in Hyderabad to light up Yamalokam set. That’s how we captured the grandeur of the entire set. Q .Arundhanti was your first film which has amazing Visual Effects.What were the first time attempt in the film from cinematography point of view. Arundhati was a period film with a fantasy element to it. It was like a dream come true to work with a passionate producer like Shyam Prasad Reddy. Arundhati was a big learning step towards visual effects. Working for Arundhati was an out-of-the world experience. It had mind-boggling visuals for the standard of any Indian movie. in this movie we used motion control camera for the first time in Telugu films to can a few sequences. the Motion control camera remembers the camera movements and repeats it. Using that we could shoot glittering fort getting converted into a dilapidated fort in the same shot . That camera is not available in India. We imported it from Australia. Q: Magadheera was a very large scale Production film. How did you live up the Expectations of Rajamouli ? I am always fascinated with movies like Gladiator, Ben Hur and Brave Heart. When Rajamouli narrated the story of Magadheera, my joy knew no bounds. At that same time I was skeptical if I could pull it off. Rajamouli gave me lots of confidence , that we pulled off Yamaloka set so we can also achieve bigger things with Magadheera. Visual effects were never used in such a large scale in Indian movies before. I had to co-ordinate with VFX team even before the shooting started as visual effects are to be seamlessly integrated into my work. The film which made Ram Charan a big star is a result of great team work. The mind boggling visuals from the flashback sequence, the onscreen chemistry between Ram Charan and Kajal, especially in Panchadara Bomma song and the overall epic nature of the film have to be seen to be believed. One of the best scenes in the film is the chariot race episode which was shot in a salt land near Dholavira, Gujarat. Scouting for locations was fun. We were looking for dry, open lands for the chariot race scene. We went to Gujarat to look for it. Out there Some passersby told us that there are white lands around 200 km away. We were thrilled to find salt lands in Dholavira. The vastness of the salt land perfectly complements the azure skies and in the midst of all that we see two warriors chasing a chariot. We doubted whether horses could run on salt . While shooting, we needed a light weight vehicle to follow the horses. So we bought a Maruti van and cut off the top part and used it to mount the camera along with jimmy jib to shoot the race. We shot a part of Dheera Dheera song in Dholavira salt land. I wanted a dry tree in the backdrop and the art director got one from nowhere. Rajamouli conceived 100 warriors episode first. We had to make the hero kill 100 warriors, but it had to look convincing. It would be believable if the hero fought with 4-5 people at a time. It struck us that we could use a passage to restrict the number of fighters. Then the conception of a bridge, a cliff and bhairava kona came into existence. We created the kingdom of Uday Ghad on computer graphics but Developing it was a tedious process. We don’t have the culture of arena fights in Indian history as it belongs to roman culture. Conceiving and shooting in that arena set was one of most cumbersome and satisfying experience. There is a specialty in Panchadara Bomma song. Hero and heroine shouldn’t touch each other, but the romance should be strong between them. It is one of the best songs we ever shot. We explored Golkonda in Sye and Yamadonga before. It only got bigger and better in Magadheera. Q Eega was the most audacious and experimental Telugu film in a long time and it’s also a major triumph in cinematography. What were the Challenges in shooting Eega? Immediately after Magadheera, Rajamouli said we would do an experimental film–a digital movie on a small scale. We started the testing of digital cameras, but the idea was then put to rest. I got busy with another film. Rajamouli started the film with a foreign director of photography but they parted ways on account of creative differences. Then he called me and told me about the film. Shooting a film with an imaginary fly is easier said than done. It was one of the toughest films I’ve shot. Later, when we began shooting, we felt the story had universal appeal and had the potential to become bigger. Not wanting to waste the idea, we developed it into its present form. Eega is my fifth film with Rajamouli .He is a task master who will not settle for anything but the best. I feel honored to have worked on such good projects with him. We understand and respect each other’s strengths and limitations. In films such as Magadheera and Arundathi films, actors were in the foreground and the CG effects in the background. Here, it was the reverse. It’s easy to visualize a shot where the fly moves from one point to another but difficult to shoot. It was as though we started digging a mine not knowing what to expect. If a fly is on a table, however much you focus a lens on it, the lens is a mammoth object compared to the fly. So you require special lenses that can get as close to the fly as possible. Arri, Canon 5D and Go-Pro cameras were used with probe lenses and macro lenses capable of extreme close-up shots. “Go-Pro is the smallest possible camera that offers close to professional resolution. A probe lens is tubular and needs to be handled carefully. A small jerk in my hand would result in a huge camera shake. Precision of shooting was put to the test,” he says. Phantom cameras were used to capture extreme slow motion sequences. 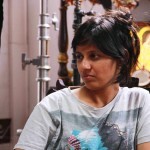 For Eega/Naan Ee , we shot certain sequences at more than 2000 frames/second. The film was a learning curve that involved both pain and pleasure. In photography language wide apertures of 2.8 or 4 are ideal for low light conditions. The probe lenses used on Eega had a minimum aperture of 8 or more, which called for more lighting especially for slow motion scenes. We had to light up an entire room with high intensity lights, which emitted a lot of heat. Dummy houseflies were used in some scenes. But mostly I had to deal with vacant space since the fly was inserted later using computer graphics. Sudeep is one of the finest actors today. If Sudeep moved in a certain angle reacting to an imaginary fly, I had to follow his movements with my camera. It was crazy at first. For me A Bug’s Life and Bee Movie were reference points, but Naan Ee was a new experiment for me . The pre-climax scene was particularly challenging. Apart from the two imaginary birds that were chasing an imaginary Ee, the sequence had to be shot in low light. The graphics team was on the sets working alongside for each shot. We researched on house flies. We captured flies and photographed them using macro lenses so that the graphics team can design an appealing Eega/Ee.